Why Do People Use Licorice? The oral preparations of Glycyrrhiza glabra (licorice), like licorice powder, are used for duodenal and gastric ulcers, bronchitis, sore throat, dyspepsia, chronic gastritis, menopausal symptoms, colic, cough, primary adrenocortical insufficiency, osteoporosis, osteoarthritis, for bacterial infections, systemic lupus erythematosus (SLE) and viral infections. 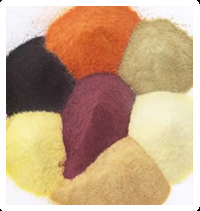 Licorice powder is also used for hypokalemia, cholestatic liver disorders, chronic fatigue syndrome (CFS), malaria, hypertonia, abscesses, tuberculosis, diabetes insipidus, food poisoning and contact dermatitis. Topically - Licorice can also be used topically as a shampoo in order to lessen sebum secretion. Intravenously - Licorice components are effective in the treatment of hepatitis B and C. In Foods & Beverages - Licorice is used as a flavoring ingredient in beverages, foods and tobacco items. Possibly Safe - Oral and appropriate (short term) usage of licorice is considered safe when orally taken as medicinal drugs. Licorice has attained Generally Recognized as Safe (GRAS) status in the United States. Oral and long-term use of licorice may enhance the chances of hypokalemia and hypertension. Likely Unsafe - By using 30 grams or more of licorice every day for several continuous weeks may lead to lethal side effects such as paralysis, hypokalemia, hypertension, weakness and sometime encephalopathy in healthy individuals. Likely Unsafe in Pregnancy - Oral consumption of licorice is considered unsafe. Licorice has estrogenic, abortifacient and steroid impacts and may lead to uterine stimulation effects as well. Avoid In Breast Feeding - Breastfeeding females should avoid using licorice because there is inadequate information available in this regard. The most effective part of Glycyrrhiza glabra is its root. Licorice has diuretic, anti-inflammatory, antispasmodic and alleviating properties. Licorice seems to protect metabolism of prostaglandins E and F2 alpha, which recommends a possible and valuable impact on peptic ulcer. Initial studies suggest that deglycyrrhizinated licorice (DGL) may improve the peptic ulcers healing process. Carbenoxolone is a semisynthetic derivative of glycyrrhetic acid that is utilized outside the United States for treating duodenal and gastric ulcer disease. Glycyrrhizic acid (which is also known as glycyrrhizin or glycyrrhizinic acid) is metabolized to glycyrrhetinic acid in the digestive system. Glycyrrhetinic acid restrains renal 11-beta-hydroxysteroid dehydrogenase, diminishing change of cortisol into inactive cortisone in kidney. Cortisol is same as aldosterone for mineralocorticoid receptors in the distal portion of renal tubules, promoting water and sodium retention and potassium discharge. Over dosage of licorice ingestion can create a disorder of mineralocorticoid abundance, with increased loss of urinary potassium, hypokalemia, hypertension, alkalosis, stifled plasma renin and an increased proportion of cortisol to cortisone in the urine and plasma. Use of licorice powder can prompt EKG changes, muscle weakness, encephalopathy, arrhythmias, paralysis and rhabdomyolysis. The increments in blood pressure and cortisol to cortisone proportion are due to glycyrrhizic acid. Glycyrrhetinic acid has a long half life, extensive enterohepatic recirculation and a substantial volume of dissemination and it may take up to 1 to 2 weeks to improve hypokalemia. Licorice powder can also be a reason for lessening the production of testosterone in males who consume licorice. This is because of inhibition of the enzyme 17-hydroxysteroid dehydrogenase, due to the licorice constituent glycyrrhetinic acid that converts androstenedione to testosterone. Glycyrrhetinic acid also appears to repress 17-20 lyase, which changes 17-hydroxyprogesterone to androstenedione. Glycyrrhizic and Glycyrrhizin acid containing intravenous preparations (Stronger Remefa S and Neominophagen C) show effects against hepatitis B and C. In vitro studies propose that glycyrrhizin decreases the generation of hepatitis B surface antigen (Hbs-Ag). What Are The Side Effects /Adverse Reactions of Licorice? Oral intake of licorice powder can lead to syndrome of excess of mineralocorticoid, increased urinary potassium loss, pseudohyperaldosteronism with water and sodium retention, alkalosis and hypokalemia. These metabolic abnormalities can cause some adverse effects like edema, hypertension, arrhythmias, EKG changes, lethargy, headache, weakness, muscle weakness, rhabdomyolysis, dropped head syndrome (DHS), paralysis, myoglobinuria, respiratory impairment, encephalopathy, acute renal failure and hyperparathyroidism as well. These effects are most likely because of when a licorice dosage of 30 grams or more is utilized on daily basis for some period. Some individuals are more sensitive to the adverse outcomes of Glycyrrhiza glabra, particularly those with kidney problems, hypertension and heart problems. By chewing tobacco flavored with licorice powder may also lead to toxicity. Chewing licorice-flavored tobacco has been associated with suppressed renin, hypertension and aldosterone levels. How Licorice Interacts With Other Herbs and Supplements? How Licorice Interacts With Drugs? How Licorice Interacts With Foods? How Licorice Interacts With Lab Tests? How Licorice Interacts With Diseases and Conditions? What Should Be the Dose/Administration of Licorice? ORAL For dyspepsia treatment, particular extract of multi-ingredient products including licorice (Iberogast, Medical Futures, Inc) and many other herbal products has been utilized in an amount of 1 mL thrice in whole day. Some licorice containing products manufactured in the United States actually don't contain any licorice. Instead they consist of anise oil, which has the taste and smell known as “black licorice."